Two Quebec MPs have added their names to a growing list of NDP caucus members who will not be seeking re-election later this year. In separate statements Thursday, Marjolaine Boutin-Sweet and Anne Minh-Thu Quach announced they would not to seek a third mandate but will remain as MPs until the election. The decisions represent the latest blow to the third-place party, which has already seen a slew of MPs leave or announce their decision not to run for another term in October. That list includes Alberta MP Linda Duncan, Ontario MPs Irene Mathyssen and David Christopherson, Quebec MPs Tom Mulcair, Helene Laverdiere and Romeo Saganash, and B.C. MPs Kennedy Stewart, Sheila Malcolmson and Fin Donnelly. Boutin-Sweet and Quach were both elected for the first time during the so-called Orange Wave in 2011, when the NDP under then-leader Jack Layton rode historic gains in Quebec to become the Official Opposition. The 63-year-old Boutin-Sweet, who represents the Montreal-area riding of Hochelaga, said representing her riding "requires a lot of time and energy" and she doesn't have the energy she had eight years ago. Thirty-six-year-old Quach, who represents the riding of Salaberry—Suroit southwest of Montreal, said she was leaving for family reasons as she is pregnant with her second child and her young daughter is preparing to start school. "I'm convinced the NDP has a future here in the riding, in Quebec and in Canada," Quach added. "Many of us share the same values of solidarity, commitment and protection of our common good." 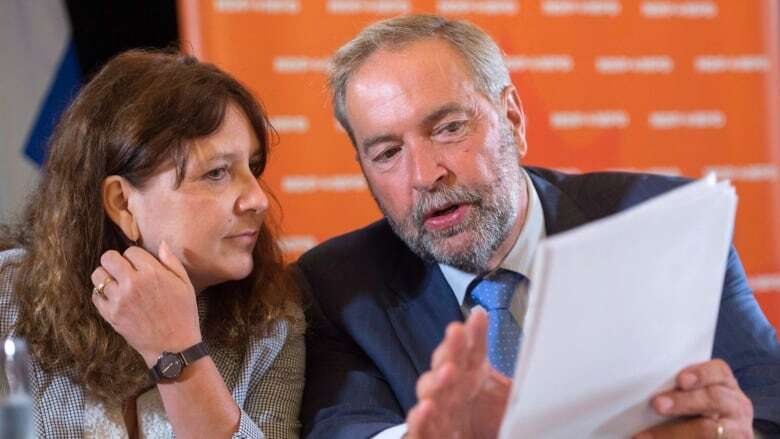 The dual departures still underline the NDP's recent struggles, particularly in Quebec. Not only has the party suffered several poor byelection results under current leader Jagmeet Singh, it has also had trouble raising money while its support in the polls has fallen. New Democrats are hoping to turn things around next week in byelections for the Montreal riding of Outremont, which was held by their former leader Mulcair, and Stewart's former B.C. riding of Burnaby South, where Singh is running.